All natural Mad Dog BBQ Sauces are produced by Ashley Foods Co. of Sudbury, MA. Founder, David Ashley, got his start in the food business managing Alice's Restaurant, made famous by the Arlo Guthrie song, in mid 70s. Ashley credits his time at Alice's Restaurant for learning the importance of using quality, natural ingredients. Later, Ashley started experimenting with creating his own BBQ sauces. As is often the case with small sauce companies, David used his eager friends as test subjects until he settled on a suitable recipe. 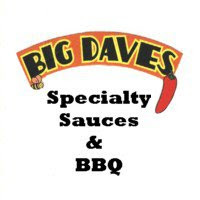 With a little convincing from his wife, David started commercially producing his own sauces in 1991. In addition to their Mad Dog line of BBQ sauces, Ashley foods also produces dozens of different hot sauces. Most of their products, like the Mad Dog 357 line, feature the hottest ingredients on earth. Ashley's BBQ sauces and hot sauces have gone on to win numerous awards and have become favorites of chili heads all over the country. David was kind enough to send samples of his Mad Dog BBQ sauces for review. The first product that I tested was the Mad Dog Chipotle BBQ sauce. This sauces adds smoked chipotle peppers to the already bold, rich flavors of Mad Dog's Original sauce. Like all the Mad Dog BBQ sauces, the Chipotle sauce is packaged in 12 oz bottles with a slick label featuring the picture of what appears to be a lab named "Bear." The label's color scheme is simple and stylish. Mad Dog's packaging is among my favorites. After cracking the seal, I was immediately hit with the aroma of smoked chipotle peppers. There was no doubt, after smelling the sauce, that Mad Dog Chipotle BBQ was going to bring some bold flavor. I poured a bit of the dark, thick sauce onto a cracker to sample it. Molasses provides a deep, immediate sweetness. The sweet flavor is quickly overcome by the chipotle smokiness. Mad Dog's flavors are deeper and richer than most. Well blended, natural ingredients truly make a difference. The sauce finishes with a fair amount of heat. For those who like the spice, it's a pleasant burn. I brushed Mad Dog Chipotle BBQ Sauce on a grilled pork loin. The sauce is just the right texture for brushing. Because it's not an ultra sweet sauce, Mad Dog didn't burn on the grill. Mad Dog Chipotle BBQ's smoky heat really stands out in a market full of sweet sauces. David Ashley's commitment to quality is obvious in this product. Mad Dog's sauces are among the most award winning sauces in America for a reason. To learn more about all of Ashley Foods Co.'s products, click the title of this review. See how Mad Dog Chipotle BBQ compares to other BBQ sauces on the "Product Reviews" page of this blog. 0 Response to "Mad Dog Chipotle BBQ Sauce"